This website shows every (annual) calendar including 2019, 2020 and 2021. 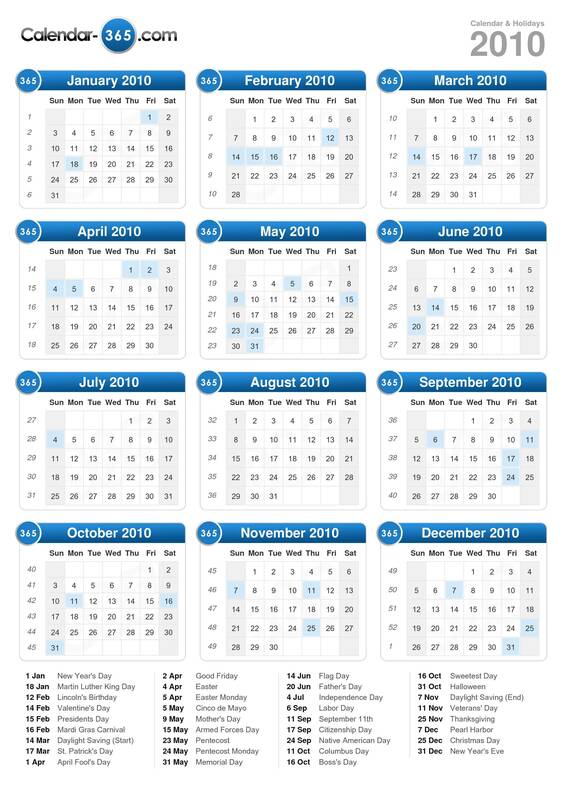 This can be very useful if you are looking for a specific date (When there's a holiday / vacation for example) or maybe you want to know what the week number of a date in 2010 is. You can also use this site to find out when a particular day or date in 2010 takes place. View below the 2010 calendar. 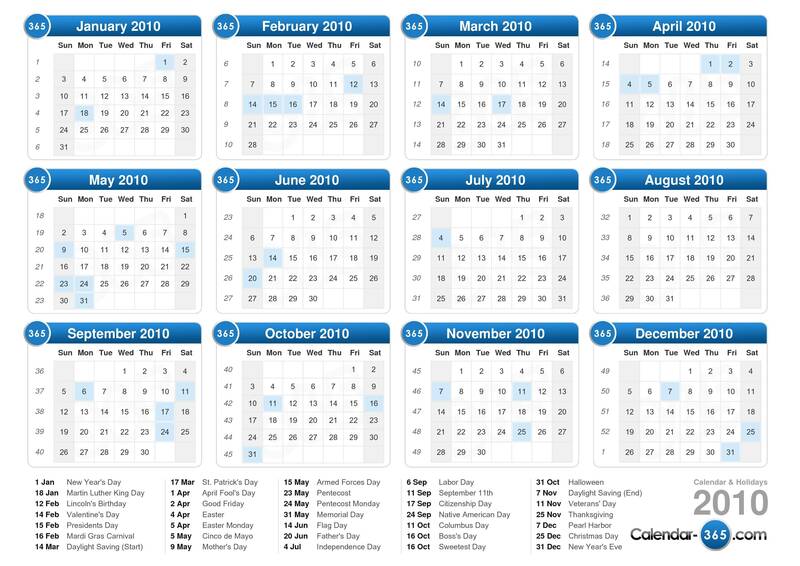 Download the printable 2010 calendar with holidays. 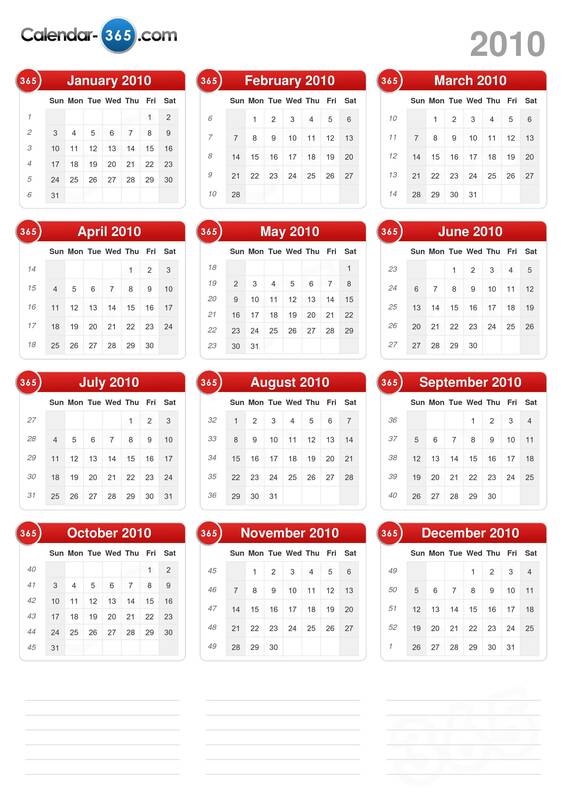 The 2010 calendar is automatically generated and can always be visited online. 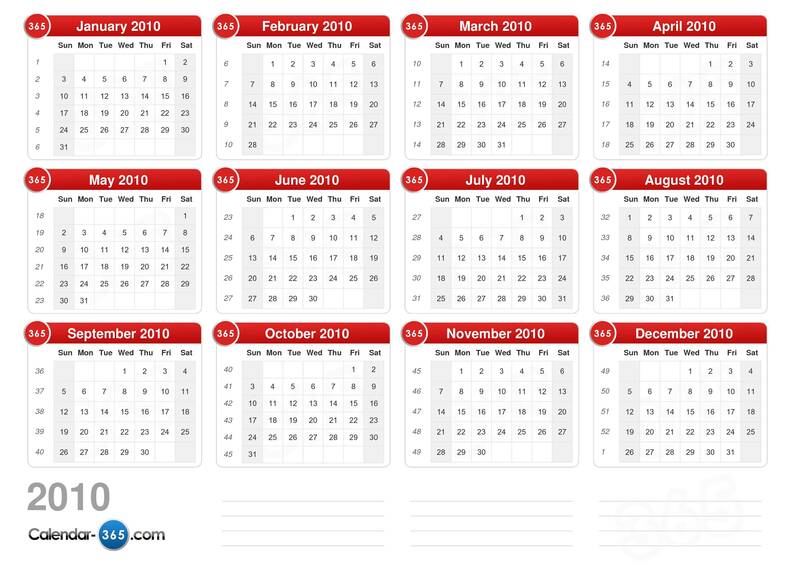 Also month calendars in 2010 including week numbers can be viewed at any time by clicking on one of the above months. Additionally you can view also leap years, daylight saving, current moon phase in 2010, moon calendar 2010, world clocks and more by selecting an item in the menu above. See also the 2011 Calendar.